Grand Canal Plaza is a high profile 200,000 sq.ft. 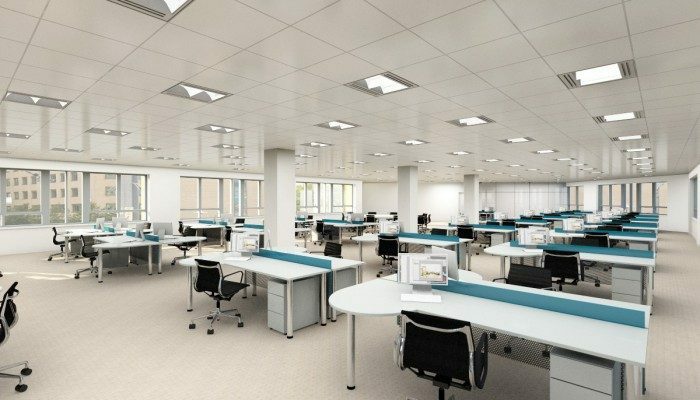 office development at the heart of Dublin’s most exciting commercial location. This vibrant urban area is already bustling with successful commercial occupiers including Google, Accenture, BT, BNP Paribas Securities Services and many others. 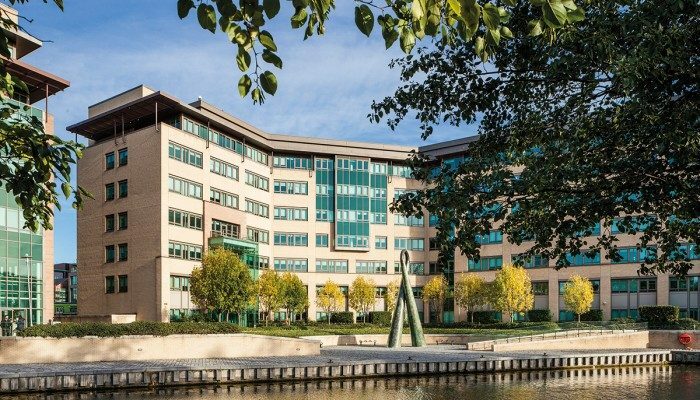 2 Grand Canal Plaza is the centrepiece of this three building office development. 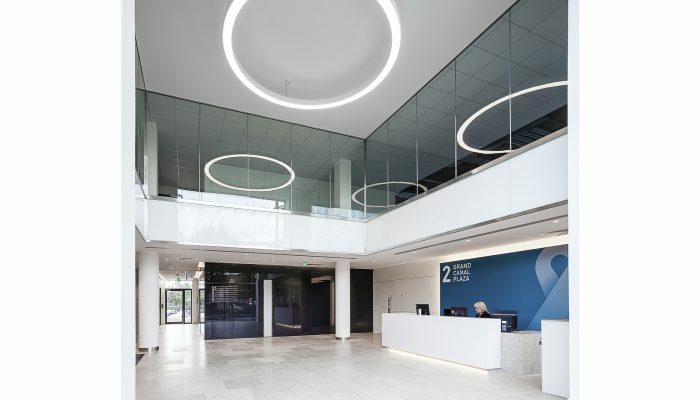 The well-lit open plan floor plates have extensive views over The Grand Canal and the building is configured for multiple tenancies, with floor plates averaging approximately 9,000 sq ft per floor over seven floors. 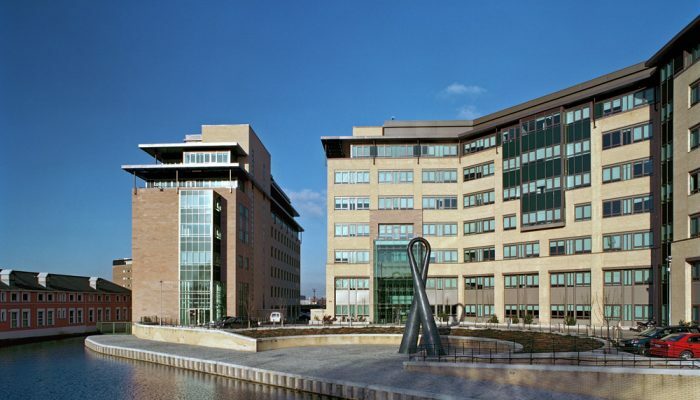 BT occupies part of the building, with a balance of approximately 42,000 sq.ft. available to lease. 2 Grand Canal Plaza is a fully refurbished to an international “Grade A” standard. This includes a feature reception area, new showers, a dry room and changing facilities to meet modern staff needs. 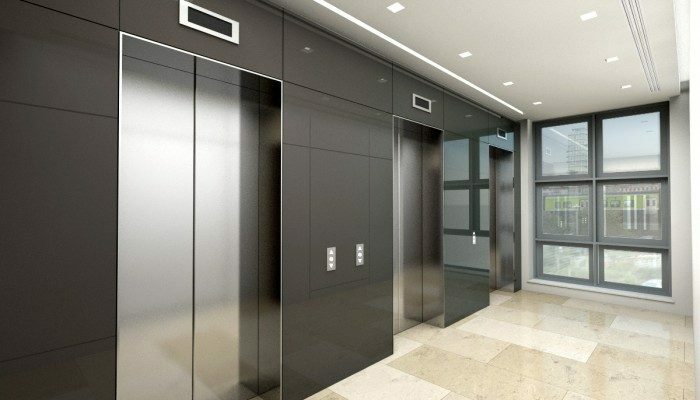 New lift lobbies and toilets, and an extensive mechanical and electrical upgrade displays quality, longevity and modernity in a design that can cater for flexibility which will appeal to a broad range of occupiers. The accommodation is presented in ‘walk in’ condition and is available for occupation summer 2014. There is generous car and bicycle parking provided within the plaza. Grand Canal Dock Train and DART station is immediately adjacent to the plaza. This provides immediate access to the city centre and its suburbs. Proximity to Dublin Port Tunnel provides ease of access to and from the M50 Motorway and Dublin Airport in only 20 and 25 minutes respectively. Over 10 bus routes serve the plaza and all are within a 10 minute walk. The Dublin bike scheme is a very successful addition to the city’s transport network, with the nearest stop only a 2 minute walk from the front door. Double height glazed reception area. Non-slip natural stone floors including under-floor heating. Wall finishes to include natural stone panels, high gloss finish wood and glass panels. Non-slip natural slate floors including under-floor heating. 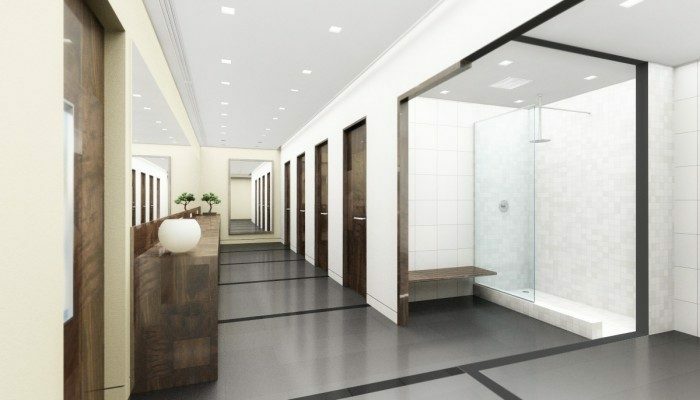 Unisex shower cubicles finished to the highest standard. Alternative access from rear of building. Four-pipe fan coil air conditioning. Raised access and carpeted floors.